We are the window covering design company of Middle Tennessee. Both our faux wood and wood blinds are made of the highest quality. These products are durable, easy to clean, and carry an aesthetic theme from room to room. We promise, you can hardly tell there the difference between our composite and wood shutters. Uniquely designed to resist fading, cracking and peeling, both shutters will last for years to come. 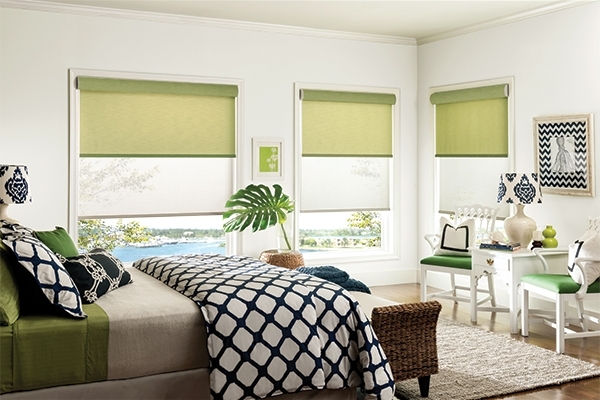 Shades are a stylish and simple way to cover your windows. With several incredible variations, we can help you find the one that fits your room best. Every one of our fabric options is constructed from an exclusive collection that ensures your drapes hang beautifully. We will make sure that your draperies compliment your home. We have a lifetime guarantee on our products. We exclusively use Graber window treatments in all of our designs because of the level of quality and longevity. A majority of every product has a lifetime guarantee. Through our experience and artistry, and the incredible products we use, we know that you will love the outcome. © 2015 Advanced Window Coverings.